'92 America Roadster. Zermatt Silver. 63k. Serviced. Mint. 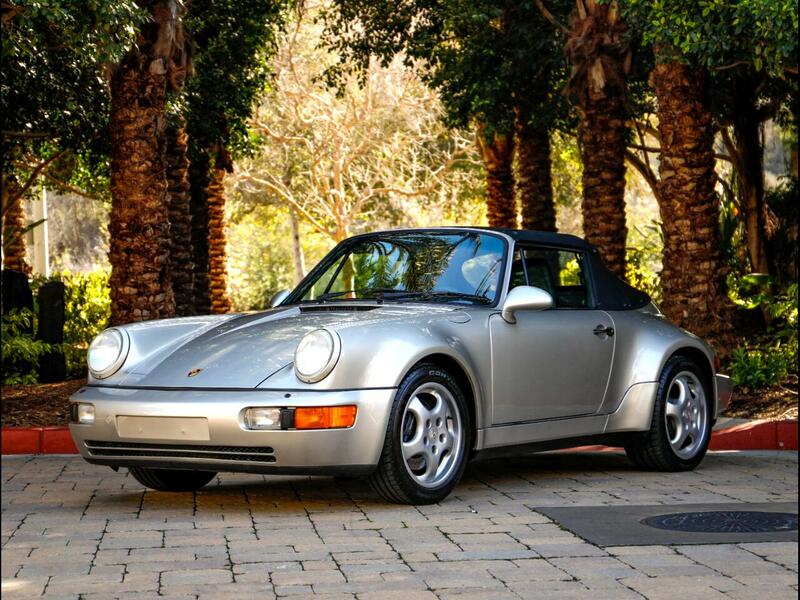 Chequered Flag International is pleased to offer this 1992 Porsche 964 America Roadster in Zermatt Silver with Black interior and top. 62,869 miles with clean Carfax. Southern California car from new. Sold new by Circle Porsche in Long Beach and lived close by since. Porsche dealer serviced. Good body with excellent paint. All stickers in place including option code sticker under the hood. Very good interior, factory sport seats, no dash cracks, good carpets, seats and door panels. Top quality canvas top just fitted with new headliner. Top, A/C, seats, windows all work well. Mechanically good, just thoroughly checked and given a major service with valve adjustment, all fluids and filters, etc. Comes with its original window sticker, handbooks including maintenance book with option code sticker, service book stamped to 46k - 2007 all done at the selling dealer. Inspections encouraged. All sales AS-IS. Sales tax and license fees due if delivered in California. Message: Thought you might be interested in this 1992 Porsche 964.